Silver Lake Resort 7751 Black Lake Rd. Not Exactly What You’re Looking For? 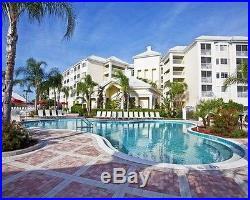 5 Nights in a One Bedroom Luxury Resort Condo in Kissimmee Florida for up to 4! In Orlando you will Stay at Silver Lake Resort, our Award Winning Gold Crown Resort in Kissimmee only 2 miles from Disney in the heart of all the action! This is a designer furnished one bedroom condo, fully equipped kitchen, king bed in master, a pullout queen size sofa in the living room, screened porch, 2 remote control tv’s with cable. Gorgeous 9,000 sq ft. Heated pool, kiddie pool, poolside tiki bar, snack bar, playground, fitness center, game room, golf simulator, 54 seat theater, and a convenience store! World-class amenities & guest activities you’ll find at our Resort. Supervised children’s programs. Convenience store and gift shop. Special rates at nearby select golf courses. Package not available for the following dates: Dec 19 – Jan 4. 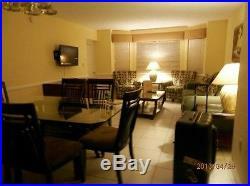 (4 night max for US residents). Please contact if traveling during this time. YOU WILL ALSO RECEIVE. (1 Day 1 Park). Q: Can I get add’l tickets for my family? Q: When will I have to take the tour? A: Tours are scheduled when you check in at the resort. They are almost always the day after check in. You are only obligated to complete the tour of at least 90 minutes. Q: How do I make a reservation? You must be between the ages of 28 & 68 years old. Speak fluent English (both parties in the couple). Carry a drivers license. Photo IDs with matching addresses (faxed copies may be required). Be in good credit standing (no active bankruptcies and have a credit score of over 600). You and your spouse/partner are obligated to travel together and attend resort tour of the hosting resort as a couple. This travel package is not good for groups. A group is defined as more than one family or friends, traveling on separate promotional packages to the same destination on the same travel dates. Must not have toured Silver Lake Resort within the last 18 months. 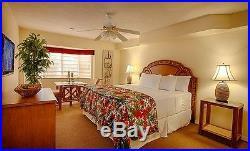 All photos used are true representations of resort areas and/or accommodations. We have several different locations! We are the actual agents and you deal directly with us for your reservations! No lengthy paperwork and no long wait! Our job is to provide you the best customer service possible. Choose your OWN dates of travel! You have a full year to use this vacation package! THESE ARE RESORT PROMOTIONS. And all we ask is for you to take a short and informative 90 minute tour of the hosting resort while you are there. Please be flexible in your travel dates as. Holidays fill up quickly. Per night (not per person). Our years of experience guarantee you reliable top notch customer service with a personal touch. We give it our all to make sure you have a great vacation, from our reservation service through arrival. Reservation requests may be submitted via our online reservation form. We do not schedule tour times or set qualifications. The tours are normally conducted the morning after arrival and you are committed to 90 minutes. We cannot change the terms and conditions of this vacation package offer. Married and cohabiting couples MUST attend the property tour together and have matching photo ID’s with identical address. Please be certain you have read and understand the terms and qualifications stated above. 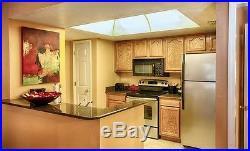 The item “ORLANDO FL VACATION5 NIGHTS1 BDRM LUXURY CONDO2 DISNEY OR UNIVERSAL TICKETS” is in sale since Friday, September 28, 2018. This item is in the category “Travel\Vacation Packages\Without Air”. 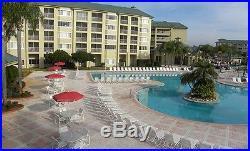 The seller is “allgoodvacations” and is located in Kingsport, Tennessee. This item can be shipped worldwide.